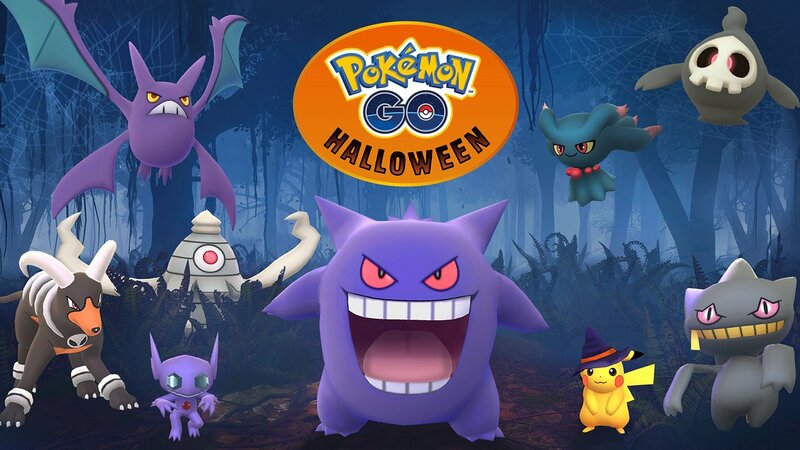 Niantic and The Pokemon Company have already teased Pokemon fans with a host of Halloween-based festivities, and now Pokemon Go players will have the chance to round out their Pokedexes with third-generation creatures thanks to the game's latest Halloween update. Starting tomorrow, October 20, players will be able to encounter the likes of Hoenn-region Pokemon like Banette and Sableye and others as well as finding an increased chance to encounter other "spooky" Pokemon creatures like Cubone, Drowzee, and Gastly around their local areas. And, as a little cherry on top, Niantic is offering players the chance to capture yet-another rare version of Pikachu, this time decked out in a festive Halloween costume. This version of the creature, like other versions that have been released in the past, will likely be free to keep forever after being captured during this Halloween window. In addition to the aforementioned creatures, Niantic has plans to roll out other creatures featured in both Pokémon Ruby and Pokémon Sapphire throughout the following months, with special mention of these pocket monsters making their first appears in the game this December. As might have been expected, this Halloween event will also offer some special bonuses for players, including the chance to scoop up a special Mimikyu Disguise Hat for their avatars as well as double candy rewards and discounted supplies and special boxes within the in-game shop. Though we don't know exactly when the Halloween event will end, we can assume that they won't last for very long, so players who wish to make the most out of these October festivities should get to gaming soon. As always, keep it tuned to Modojo for the latest news in the ever-expanding world of Pokemon Go. Expand your Pokemon Go skills beyond any reasonable expectation by drifting through the scores of information we've featured over on our Pokemon Go tips and tricks guide hub.